It nourishes the scalp & strengthen the hair and reduce hair fall. 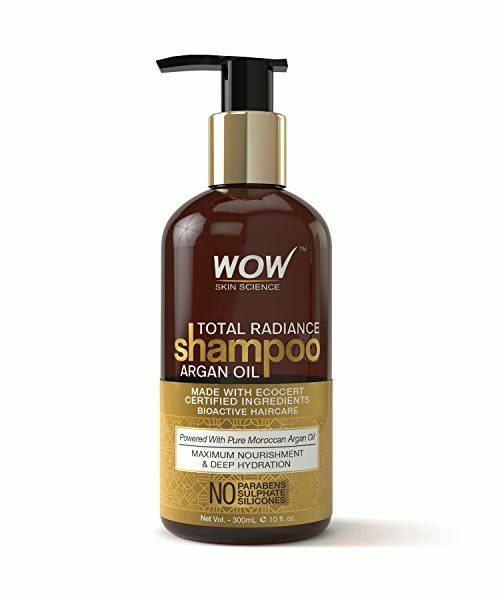 WOW Total Radiance Argan Oil Shampoo provides rich nourishment & hydration to give silky glossy hair. It is loaded with the best-quality Argan Oil, often called “liquid gold”, and hence it provides healthy restorative goodness to hair and skin. 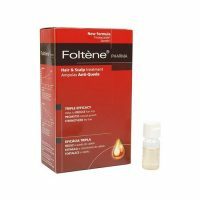 This shampoo does not contain any chemicals that could be harmful for hair or scalp. It is loaded with essential omega 6 fatty acid and vitamins A & E. The golden combination improves the lipid barrier of the hair and enhances the gloss and silkiness and provides strength to the hair and reduces hair breakage. The key ingredients in the product provide deep rooted nourishment and thus resulting in a healthy scalp, strong and shiny hair and also prevents hair fall because the soft and silky hair are easy to manage and they do not tangle. 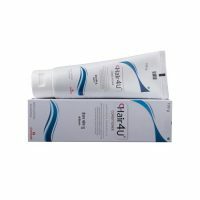 This product has been specially formulated to strengthen & enhance hair quality by making it more glossy & silky. Besides the ingredients which contribute effectively to improve hair quality and texture, the added benefit is that it contains no harmful sulphates, paraben or silicons, which are harmful and hence not recommended. The WOW Products contains purest quality of Argan Oil made Moroccan Argan seeds. and is loaded with healthy omega -6 and omega -9 fatty acids along with vitamin E.
Argan Oil has a quick absorption and helps in moisture retention and result in glossier, silkier and stronger hair. Wet all hair thoroughly with warm water to open the cuticles. Apply sufficient amount of shampoo as per the length and volume of hair. Gently massage it all over the scalp and along the tresses with fingertips (not nails) for 2-3 minutes. Wash it off with water. Once the shampoo is washed off completely then rinse it with cold water for extra-cuticle smoothening. Caution: Avoid this product contact with eyes. If contact occur then rinse the eyes thoroughly with water. 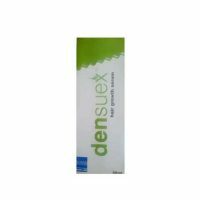 For best results regular usage is recommended.